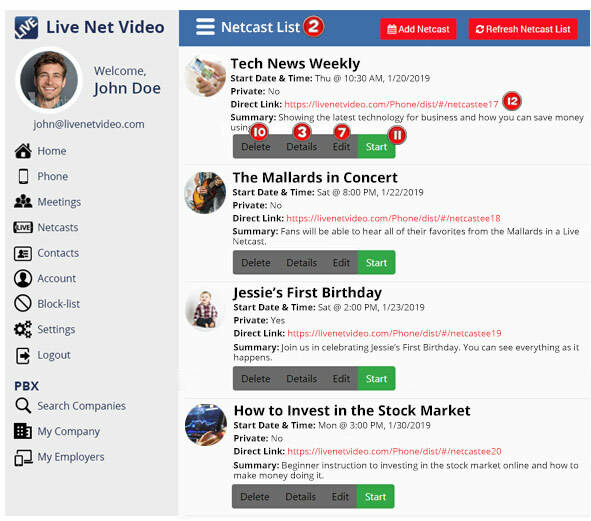 Starting from the Netcast Dashboard, click on Manage Netcasts. This brings up the Netcast List. 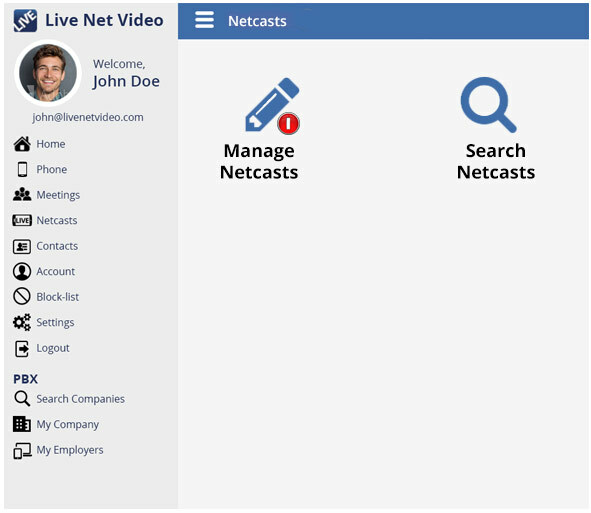 From this screen you can manage all aspects of your Netcasts. 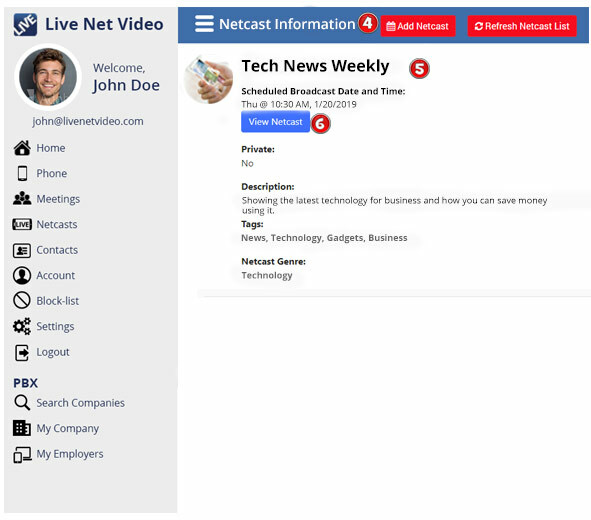 To view the details of a netcast, click the Details Button. The Netcast Information screen opens. All of the information about the specific netcast will be displayed. If you want to view the netcast, click on the View Netcast Button. To edit your netcast, click the Edit Button. The Edit Netcast Form opens. When you're finished making changes to the netcast, click the Update Netcast Button. If you want to delete the netcast, click the Delete Button. From the Netcast List, you can view the netcast if it's time for the netcast to start. To view, click the Start Button. 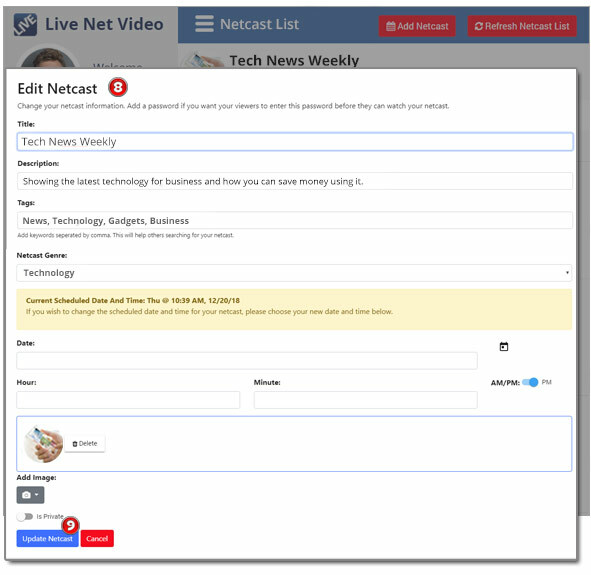 If you want to add a link for your netcast so your viewers, followers, etc., can view it, copy this link and paste it into your email, social media site or website, etc.